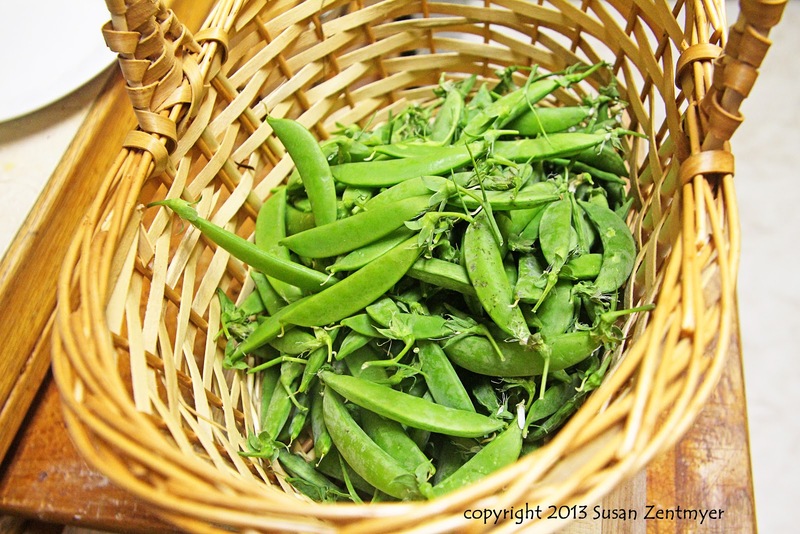 We've been picking a lot of peas in the last couple of weeks. Despite that, we're having some pretty chilly weather this weekend. Nothing like the folks on the East Coast, but chilly for us. I love soup on a cold day. And I wanted something that tasted of Spring. 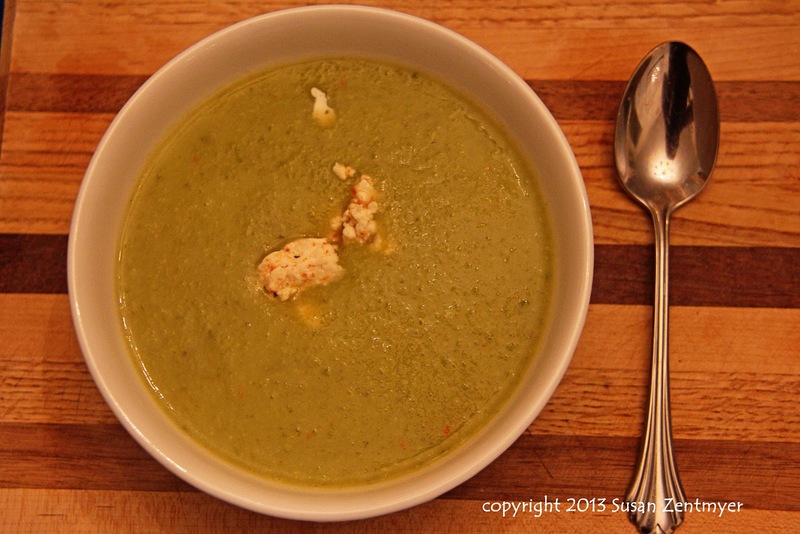 Fresh Pea Soup is a delicious and healthy way to enjoy a taste of Spring in the winter. 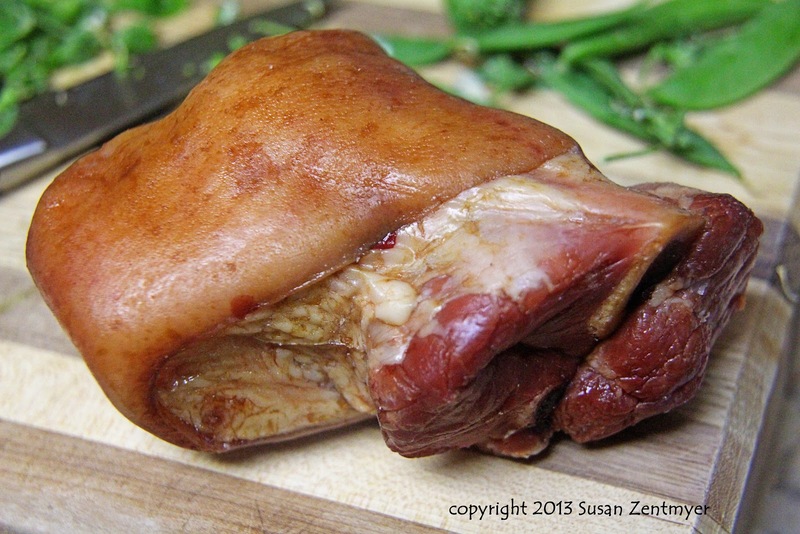 In a large pot, bring the chicken broth and ham hock to a boil over high heat. Lower heat to medium and simmer for 15 minutes. Meanwhile, if using fresh peas, trim the ends and rinse. Add the potatoes to the pot and simmer for 15 minutes. 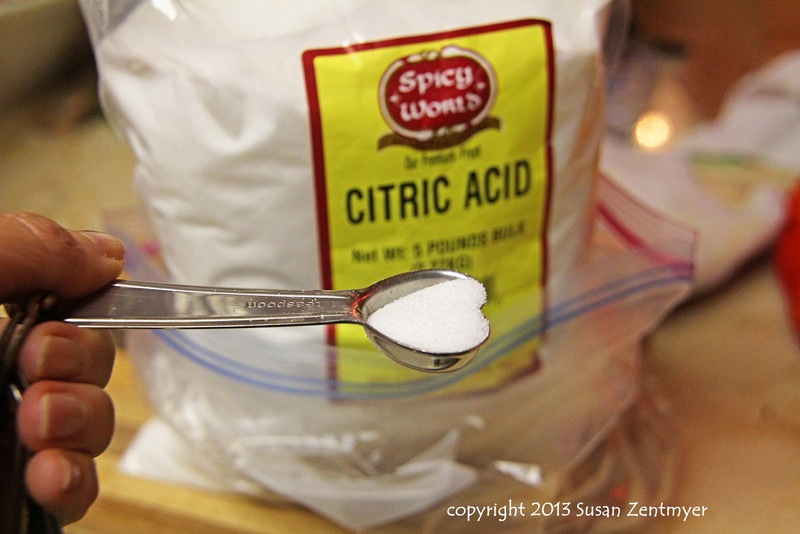 Now add the citric acid and the peas. Bring to a boil and add the pepper. Simmer for an additional 10 minutes. 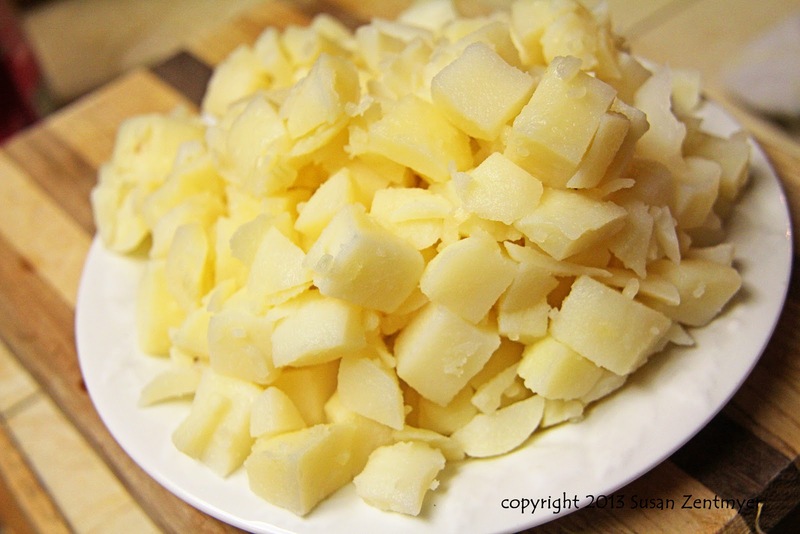 In a food processor or blender, puree the soup until smooth. Serve with a bit a feta cheese. What a delightful flavor! 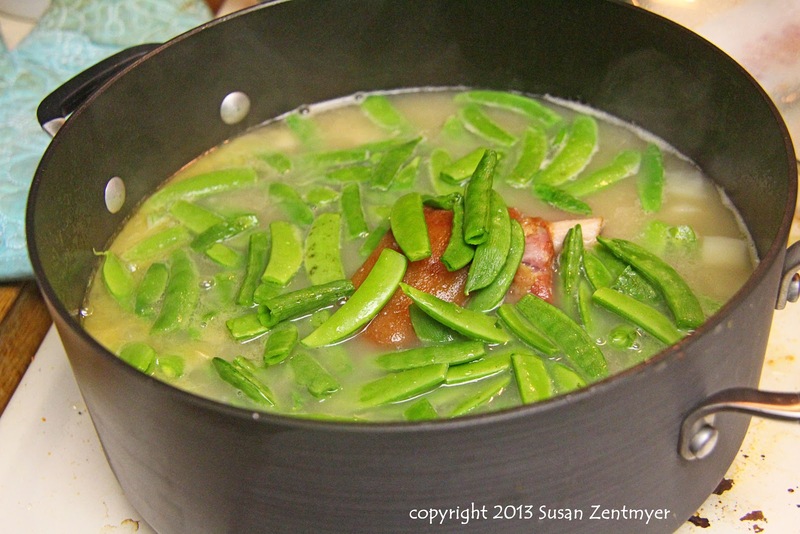 The ham hock adds a nice smoky flavor and the citric acid brightens the flavor of the peas. Spring in a bowl! I'm not a fan of pea soup. But you make this look good. Maybe with fresh peas it would be better. I'm gonna' try it. Thanks for sharing this on What'd You Do This Weekend? with the Tumbleweed Contessa. My father would love this soup!! 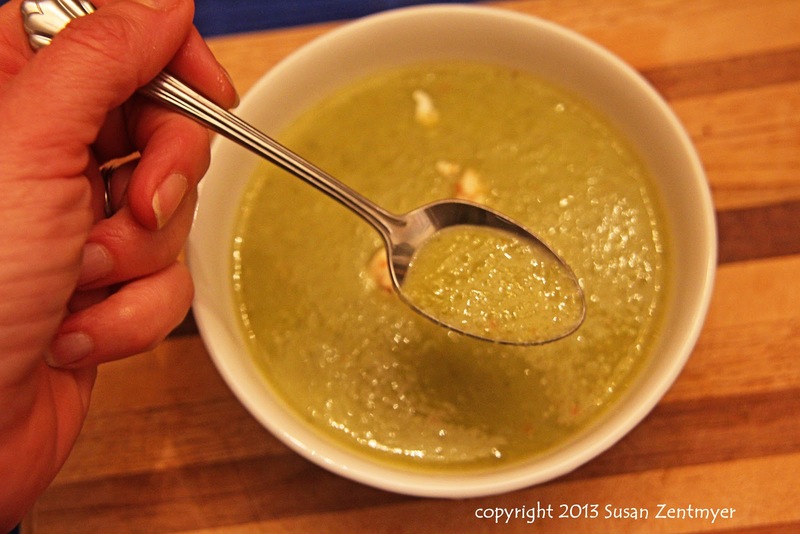 Thank you for linking to Simple Supper Tuesday!